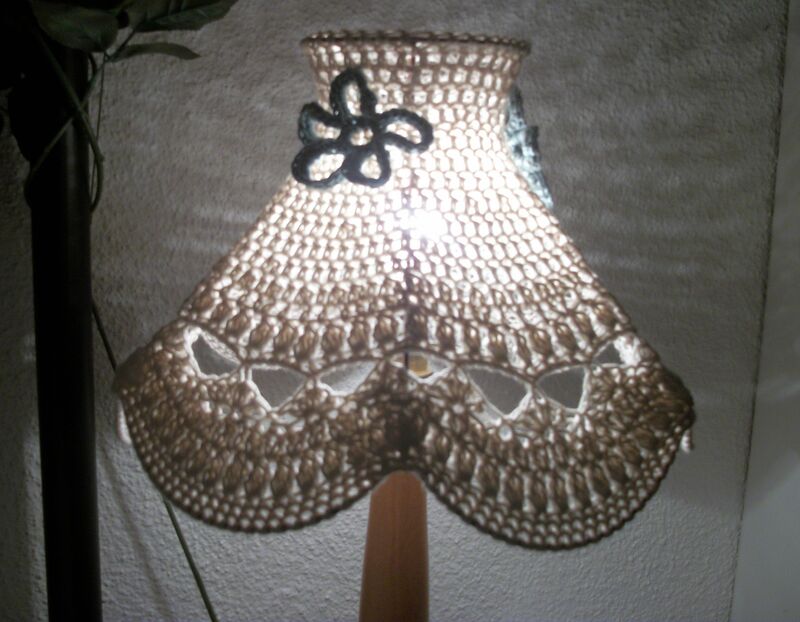 Jan Ollis’s daisy pattern was perfect for my latest lampshade. And I promise this will be the last one I tell you about for a while, I’m sure you are getting sick of them! Lampshade frame = R20 from Milnerton market — what a score! I used 2 x 50g Vinni’s pure cotton in Natural and a bit of left-over sea-green for the flowers. Contrary to my own expectations, I am now perfectly comfortable crocheting directly onto a frame!!! Nifty tip = I spraypainted my frame with metallic copper first, it just gives a nice colour on the bits of metal that remain visible. 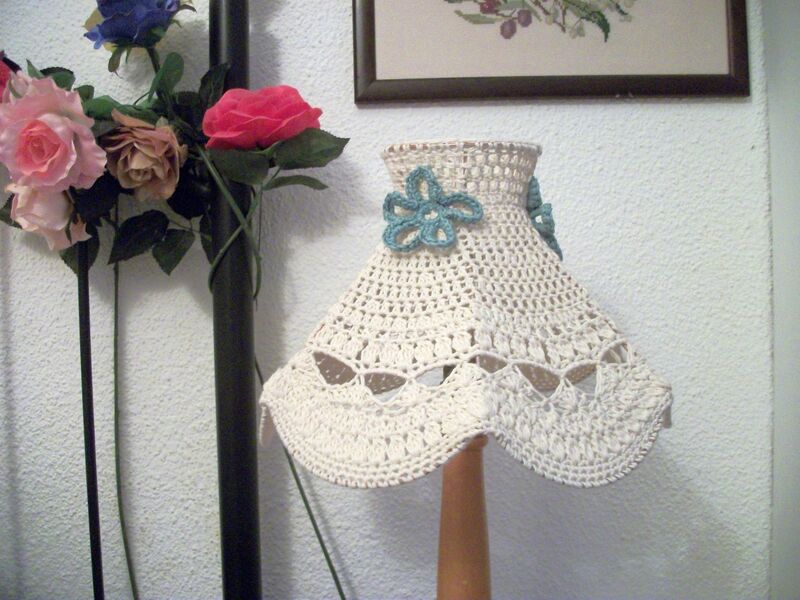 This entry was posted in Crochet, frame, handmade, Jan Ollis, lampshade, Loot, Vinni's colours and tagged cotton, crochet, flowers, market on July 28, 2012 by Nice Piece of Work. 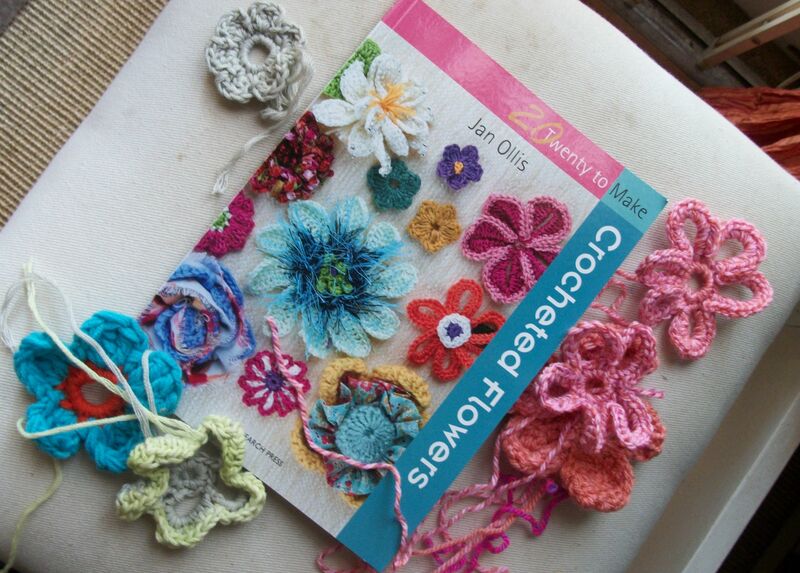 Thanks Alison, the only thing I have to work out now is a quicker way to make them – took aeons! Best one so far maybe?? How are the school holidays treating you? Hardly getting a minute to myself but the weather has been ok so far which is a blessing. Think the boys are acclimatising to being off now too. Had a lovely day on Friday with visit to library, park, an ice cream, then football, tig and sitting on rugs in the garden to read and colour and enjoy our library books. Have got ideas for blog posts but no time to write them!! I love your lampshades and will never tire of seeing them. Thanks for sharing.